Hello everyone, and welcome to this week’s Tiggerific Tuesday Trivia! Along with my friends Jenn from Disney Babies Blog, Heidi from Heidi’s Head, and Jodi from Magical Mouse Schoolhouse, I’m Mike, and today I’m going to give you a good tidbit of Disney trivia from Disneyland! 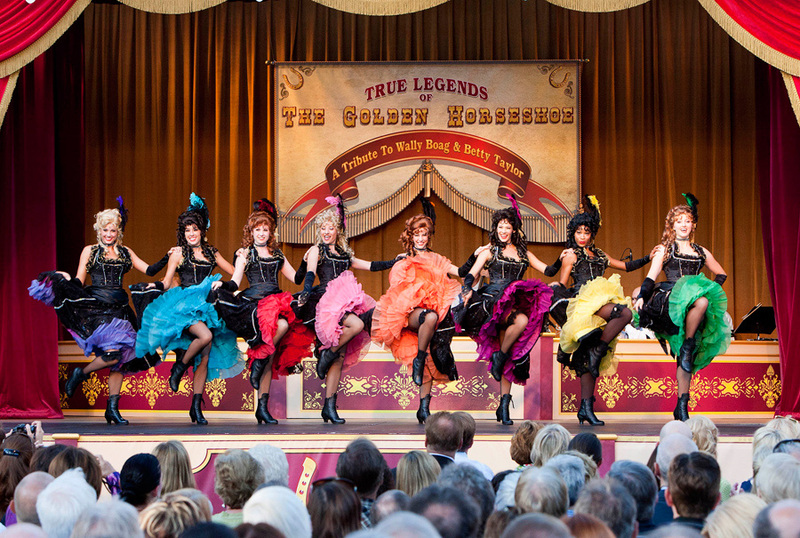 Most likely any good Disney trivia fan will know Wally Boag as one of the great performers in the Golden Horseshoe Revue at Disneyland Park. In all, Wally performed in nearly 40,000 performances of the show that was a fixture at Disneyland park, most often teamed with Betty Taylor, his partner in crime for thousands of performances. In addition to his work with the Golden Horseshoe Revue, Wally was also the voice of Jose of the Enchanted Tiki Room! Additionally, Wally Boag was on the Muppet Show in 1980, which you can watch in it’s entirety right here (courtesy YouTube)! Wally Boag’s career spanned far beyond Disney and the Golden Horseshoe Revue, but he certainly made his mark there! Today happens to be the 2 year anniversary of Wally Boag’s death in 2011 (June 3, 2011, at the age of 90). Ironically, his partner on stage, Betty Taylor, would pass away next day, June 4, 2011. Perhaps a finer compliment was never said. Thank you for stopping by today for Tiggerific Tuesday Trivia! Please check out the rest of the links to see what trivia they have for you as well! 17 Days til Disneyland – California Screamin’! Today we are looking at California Screamin’ — that crazy fast roller coaster located at Paradise Pier in Disney’s California Adventure! Today is Day 17 in our countdown to Disneyland, and with each day counted down, we are getting closer and closer to the date we leave for our trip! I can’t wait! In order to ride the attraction, you have to be at least 48″ tall. I hope you all are and can enjoy this, because California Screamin’ is the fastest and longest roller coaster in all of Disneyland Resort! This roller coaster reminds me of the Rock ‘n’ Roller Coaster Starring Aerosmith over at Disney’s Hollywood Studios park in Walt Disney World, but I think it’s primarily because of the speed and the loops. A lot of Disney roller coasters don’t have loops on them, so the ones that do I believe kind of stick together in my mind. What do you all think of California Screamin’? Are you fans of the roller coasters, or do you skip by them? Let me know in the comments please, and get ready for blast off!